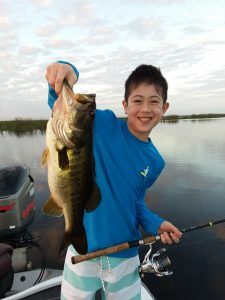 The Marino family came down from New York to escape the cold and snow to come out with Okeechobee Fishing Guides Capt. Nate Shellen for some fun and fishing! 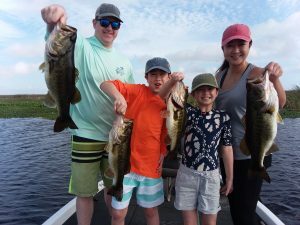 Saddie (10) caught 8 bass with the one she is holding being her biggest, Tyler(11) caught 11 bass and he also caught the most for the day with the one he is holding being his biggest, Minh caught the BIGGEST Bass of the day being a little over 5 lbs. and Wayne caught the beauty he is holding as well. 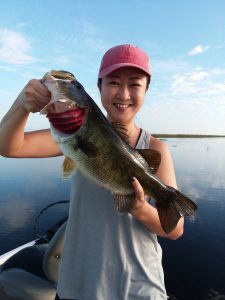 This family had a bet that whoever caught the biggest bass was going to get called not their name but “BASSMASTER” for the rest of the week. So no more “mommy” for Minh but “bassmaster” she will be for the rest of the week. 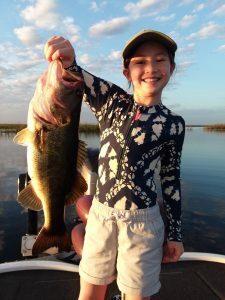 I absolutely LOVE taking kids fishing and look forward to it each time I have kids on my schedule and these kids were no exception. Can’t wait to see them again next year!